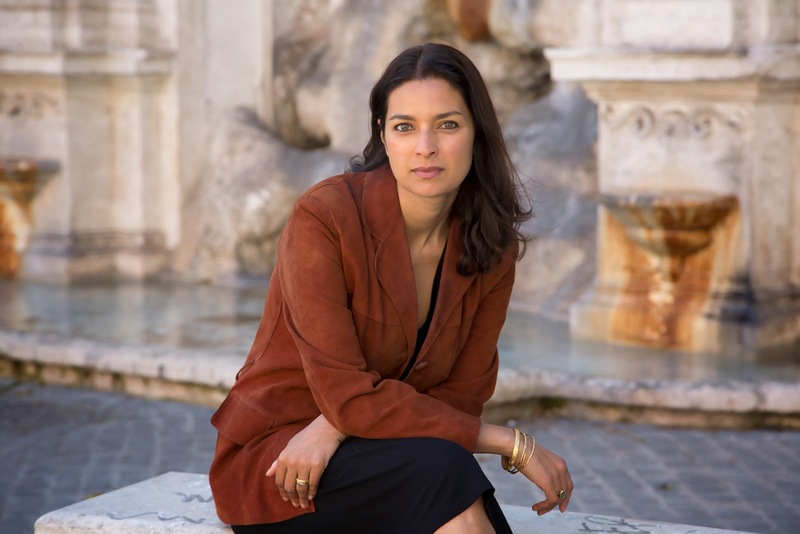 Jhumpa Lahiri is an author I've not read before. I've heard great things about her first novel Namesake, and again raucous praise for the strength and emotion in her short stories, but it wasn't until I was handed The Lowland as a birthday present and commanded to read it, that I finally got to experience her prose for myself. Tales of India are always able to hold my concentration. Jeet Thayil's Narcopolis (nominated for 2012's Man Booker Prize) was a entertaining read, that had me sat in bed the whole of weekends wanting to stick with the characters and their stories. Adiga's The White Tiger is the first book to really put me off traveling to the continent, if only for a little while, and some of my favourite historical books talk of India's past. For some reason I expect the books I read about India to reflect the images I have of the place in my mind. Heat and dust. Masses of human bodies pressed together, the smell of sweat and the rich colours of the spices. A speedy, almost uncomfortably fast pace. The Lowland wasn't this. Lahiri likes taking things nice and steady. Not in a E.M Forster kind of way, where description can take over the narrative for pages at a time. Things are definitely happening, her characters are moving and thinking, yet it all seems to be happening at a very placid pace. 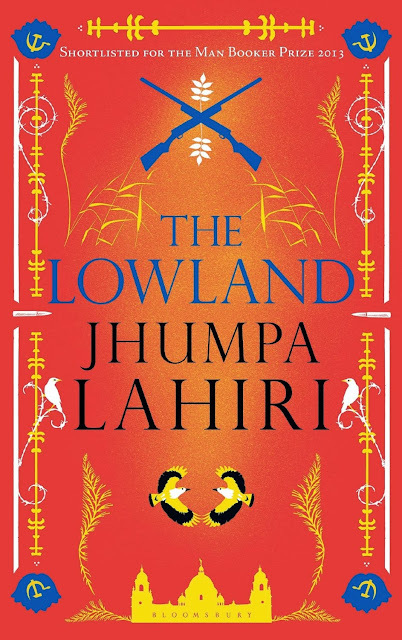 The Lowland tells the story of two Bengali brothers, close in age but different in character. Subhash is the older of the two. He's conventional, content in his role as a follower, immersing himself within the natural world around him. Udayan is a fighter, an ideological freedom fighter who believes in the Marxist Naxalite Movement. As a child he was intrepid, disrespectful of rules and authority. The small footsteps in the dry concrete pavement outside the family home testament to a young mind unable to hold back and do what he's told. Thankfully, Lahiri doesn't make these brother's differences the things that divide them. If anything they acknowledge that the differences they both possess make them stronger together. They are close, and truly love each other. As the reader you can sigh with relief at the realisation that this won't be another novel based on sibling rivalry. So the book steadily moves along, the brothers growing up, the paths of their lives becoming more defined. Subhash, with his adeptness for biology and love of nature, ends up in Rhode Island America, studying at the University. 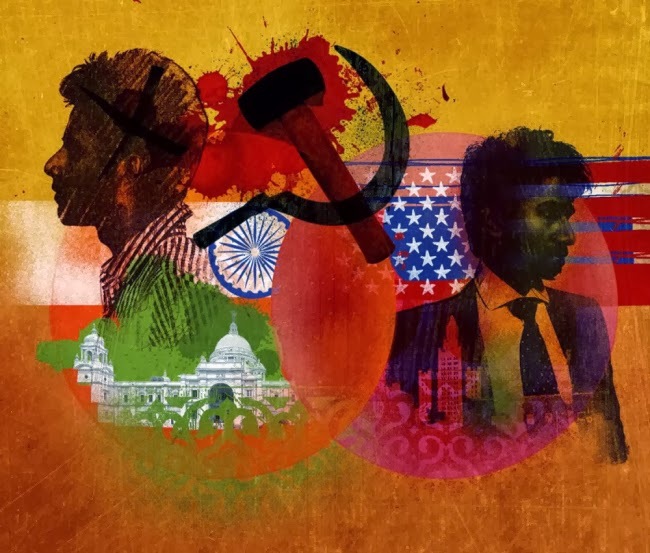 Udayan, still a believer in an attainable equality and freedom for all, goes to rallies and protests, meets a young and intelligent woman, Gauri, sympathetic to his beliefs and also young enough to be thirsty for change. The book reaches its climax half way through, when Udayan is murdered by the police. It is here that you might be tricked into thinking that the narrative is starting to pick up. Subhash returning to India to find his brother's widow pregnant and lost, deciding to marry her and take her and the child back to America. Yes, you could be forgiven for thinking that this is when the true links between brother's who grow up so close and who are now forever apart will be explored. But no. The rest of the book focuses on the loveless marriage of Subhash and Gauri. With characters so frigid and unhappy, there's nothing in the narrative to hold your attention. Udayan, by far the novels fieriest character, has disappeared, and his memory only called upon as a way for Gauri to CONSTANTLY think about how unhappy she is. Of course Lahiri hopes that the reader really wants to see the child growing up, that the revelation that her father is actually her Uncle will be enough to hold the reader's attention. But it's really not. By the time that all eventually comes out, at the very end of the story, all the characters have turned so beige and blah. Everyone is unhappy with their lot, searching something better or stuck mourning what they lost. That's all fine, as long as there's something else going on. A chance for the characters to move on from this. or a devastating event that will take place because they haven't. I was expecting a story about sibling love and the power it possesses, a connection that doesn't leave two people just because they are separated by vast oceans or when one is murdered. The book could have been about that, the characterisation of the brother's was certainly strong enough to hold up such a narrative. But Lahiri made a mistake in snubbing out the only light and warmth in the book half way through. The rest of the book was a journey in mundanity, where just like the characters , you don't really seem that bothered about the eventual outcome. East Is East (1999): Where exactly are you from?